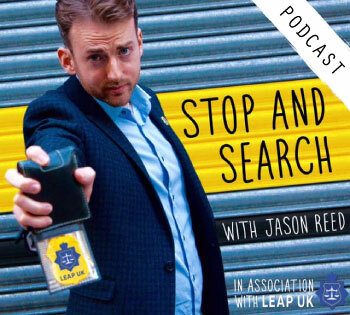 London drug rehab therapist, that purports to help recovering drug addicts claimed on the BBC’s Newsbeat documentary that heroin and crack cocaine are more spiritual and safer than cannabis … but the internet hit back! 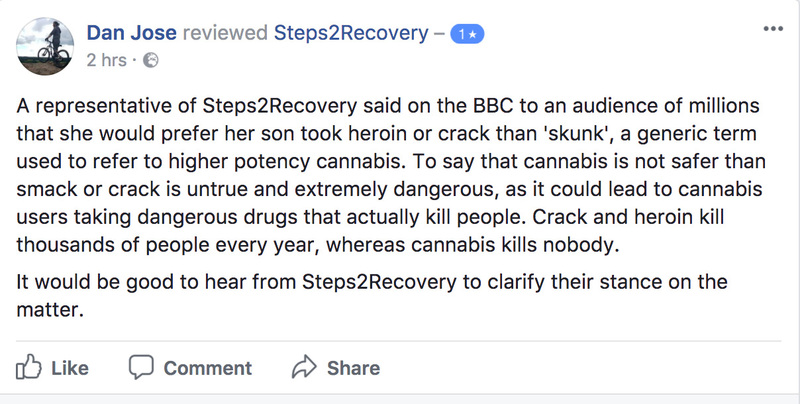 As was reported on the Cannabis Geek’s website, a massive outrage was sparked when, Louisa Philips Kulukundis, a registered therapist with the British Association for Counselling & Psychotherapy, claimed on the BBC’s Newsbeat that she would prefer it if her son took heroin or crack over skunk. “I told my oldest son I would prefer him to use heroin over skunk. 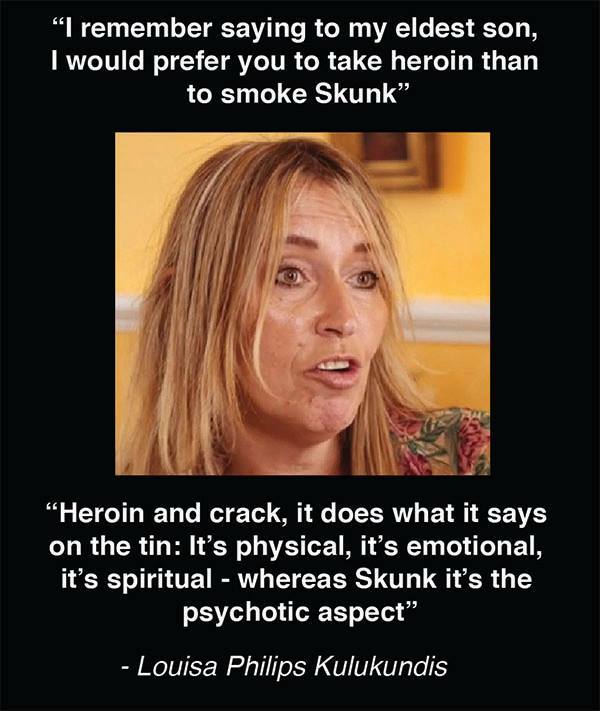 heroin and crack, it does what it says on the tin, it’s physical, emotional, and spiritual – whereas skunk is the psychotic aspect”. The story soon gained attention on Social Media, with pro-weed Facebook page Feed The Birds posting the following meme. This also lead to a number of people leaving a one star review and negative comments on their Facebook page. 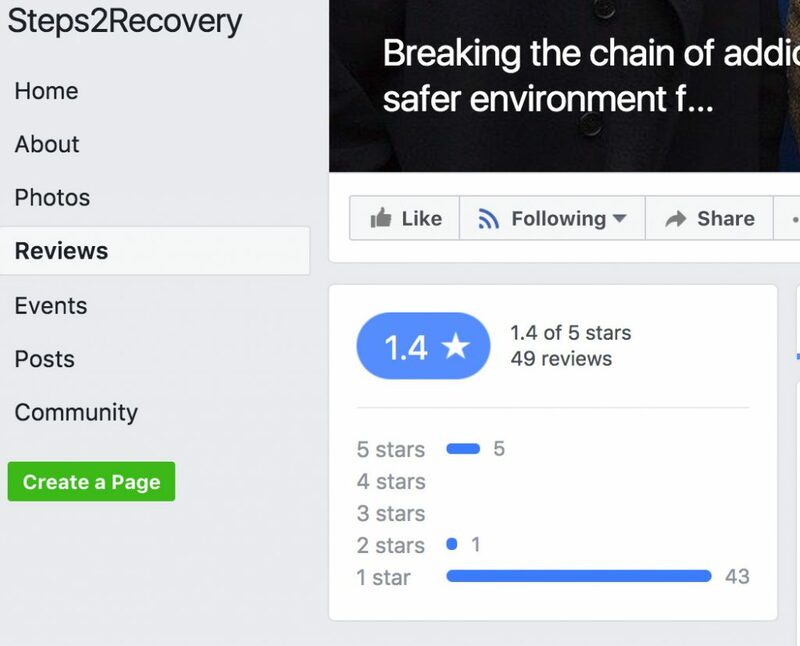 Comment slating Steps2Recovery on their now deleted Facebook page. Greg de Hoedt, Chairman of the UK Cannabis Social Clubs chips in. Within a matter of hours their Five Star review rating was reduced to 1.4. 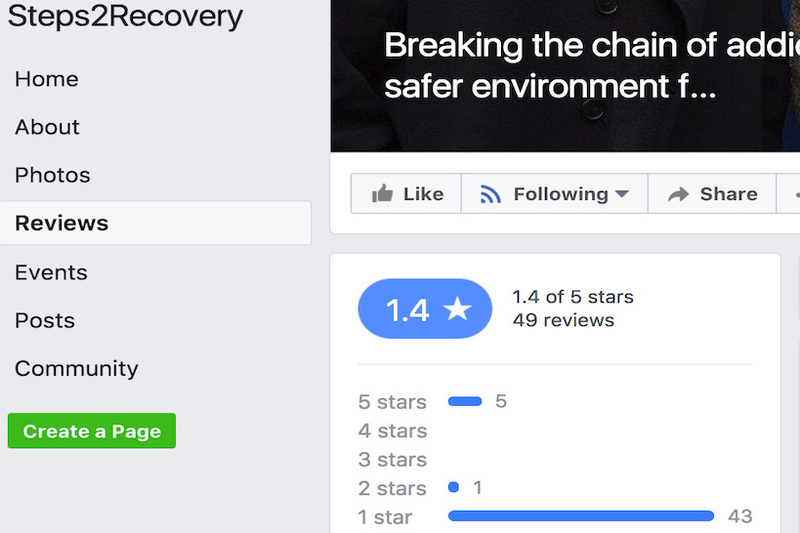 Steps2Recovery goes from 5 star review to 1 star review rating in a few hours. 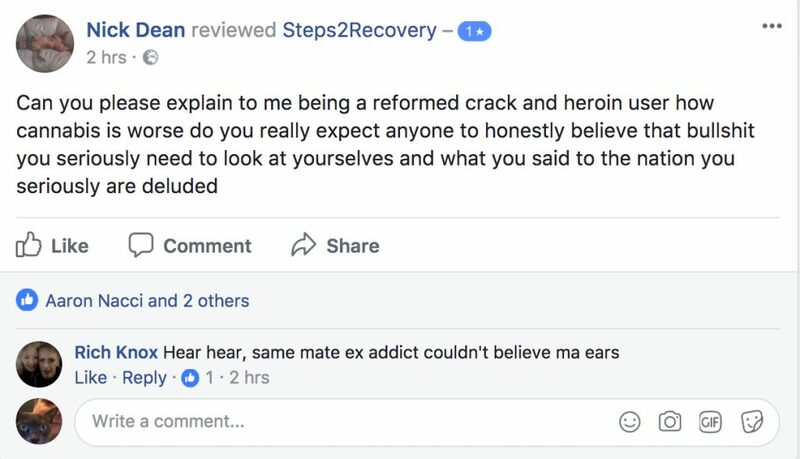 The reaction from Steps2Recovery, the group that Lousia works with? Did they apologise? Did they distance themselves from the remarks of Louisa Philips Kulukundis? Nope, they deleted their Facebook page to get rid of all the negative comments left by Facebook users in their review section asking difficult questions about the highly irresponsible advice that one of their employees gave to millions on a news show aimed at a younger audience suggesting crack and heroin are both safer and more spiritual than cannabis. Unfortunately, for Steps2Recovery, the Internet doesn’t go away. When it became revealed they had closed down their Facebook page, even more people went back to their new Facebook page to again leave a comment. While we are sure that not many people will fall for such rubbish, it is still worrying that such dangerous and unscientific garbage could be spewed out broadcast to millions and go unchallenged. 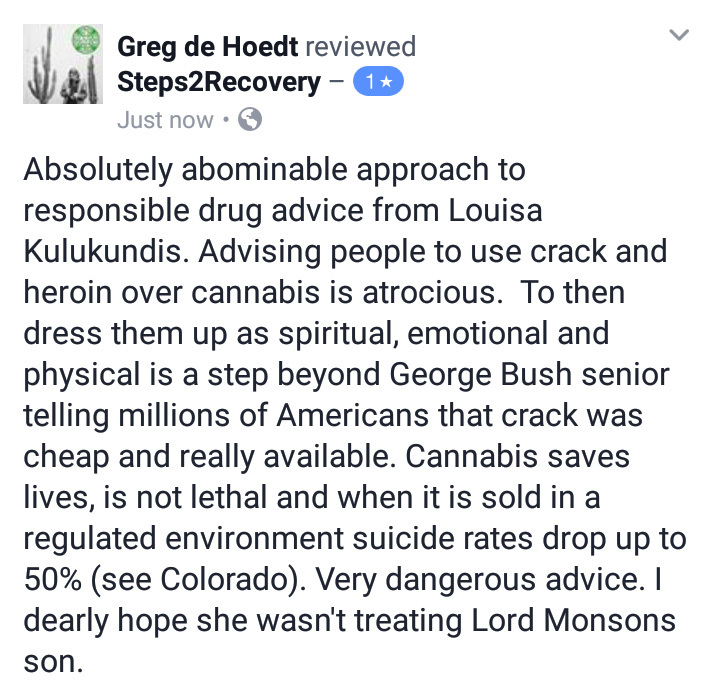 What if someone who uses cannabis actually believed the outrageous comments made by Louisa Philips Kulukundis and thought they would jack up or have a go on the crack pipe, since they know cannabis isn’t dangerous and they hear a supposed drug counselor tell them it’s safer and more spiritual. 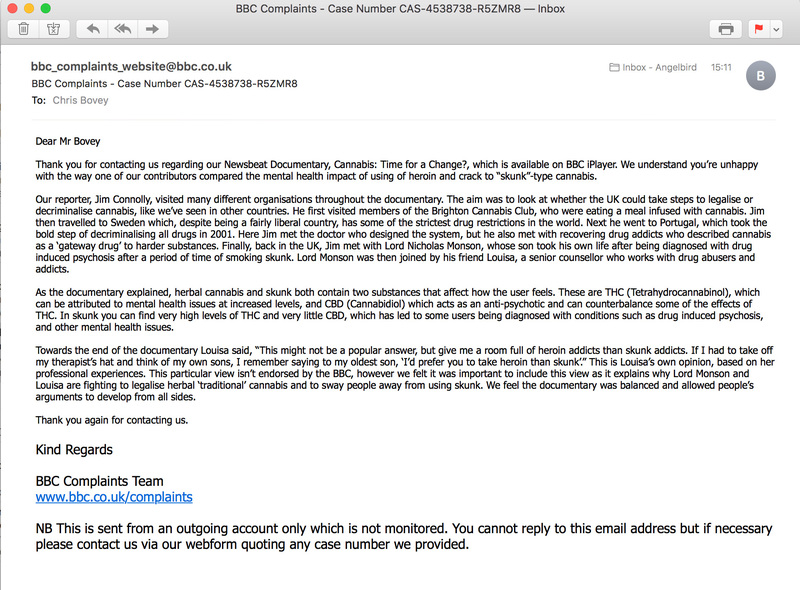 A number of complaints were made to the BBC, which were of course fobbed off. Their response is laughable as it is pathetic. Lame but predictable response from the BBC. The notion that cannabis is somehow much more stronger than the cannabis our MPs and media were smoking when they were at university is simply not true. Good quality cannabis has been around for years. We recognise the need for organisations and charities to exist that help recovering addicts, but it would be better if they educated themselves, engaged with the cannabis community, rather than spouting rubbish that you’d expect to find in the Daily Mail. 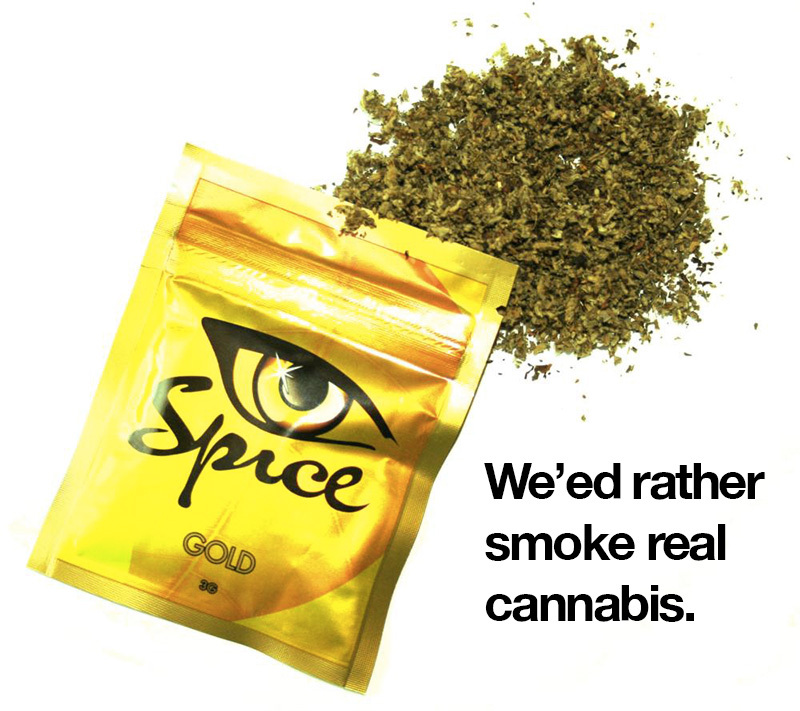 Cannabis Social Clubs offer a safer environment for cannabis consumers to purchase and use tested and labelled products. The strength can be chosen by the individual and they will know they are not be getting involved with any criminal activity or moral wrong doing. The argument is always to protect vulnerable and underage people. Well, Cannabis Social Clubs have that exact intention. 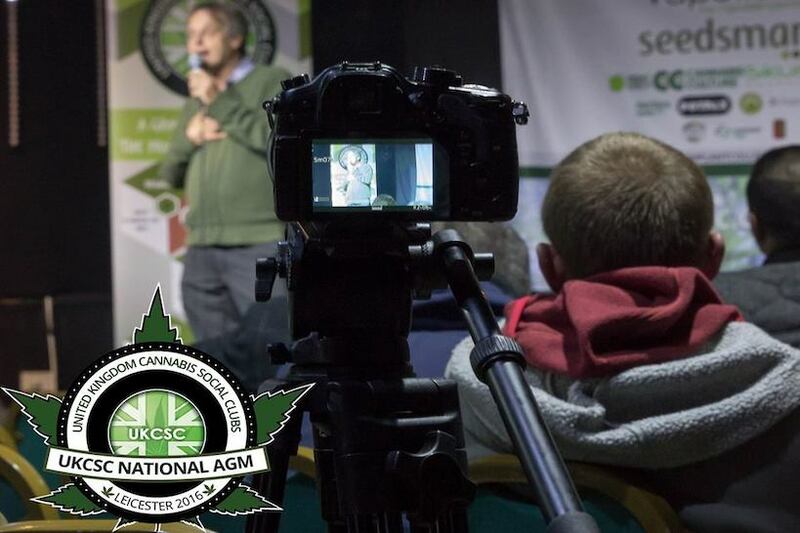 To be age regulated so minors cannot enter events or access cannabis products, and let’s face it, there is no protection for them now while under a model of prohibition and criminalisation – not even that is putting people off, given that at least three million Brits admit to regularly using cannabis. 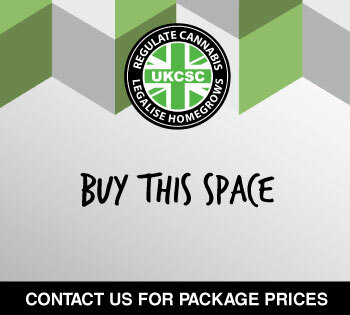 Cannabis Social Clubs will remove cannabis products out of the same marketplace as other drugs – no one buys crack when they buy their alcohol (unless perhaps you’re a cannabis activist that owes £40,000+ in legal bills) and there’s a logical reason behind that. If alcohol were an illicit drug however, it might well be something you get from the same dealer. And for the love of ganja, let’s hope we never find out. Comparing Brighton Cannabis Club eating a fine meal infused with medical cannabis to a room of heroin or crack addicts though … just wow! I’m speechless. Find your local cannabis club on our club list and map. 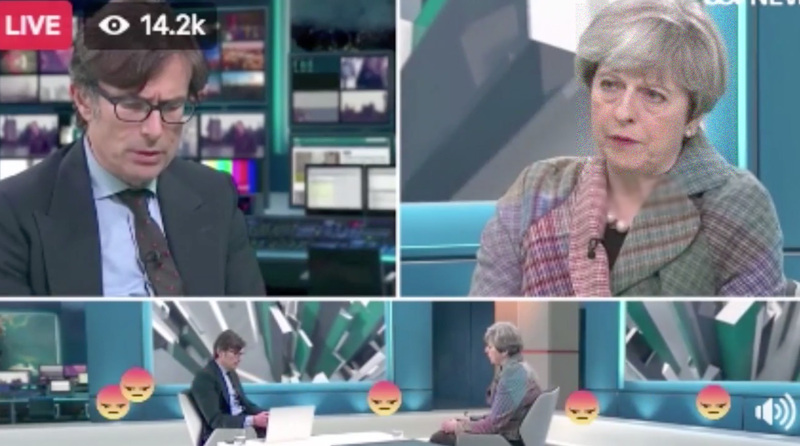 Theresa May Smack Talks Cannabis: Heroin & Suicide? 20th May 2017 17th July 2018 Staff1 Comment on Theresa May Smack Talks Cannabis: Heroin & Suicide? 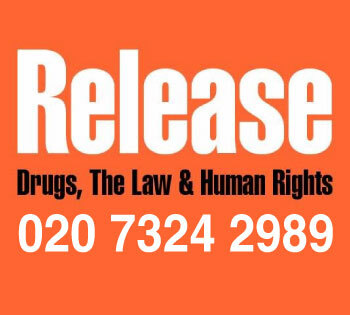 30th March 2017 17th July 2018 StaffLeave a Comment on Psychoactive Substances Act, One year on. 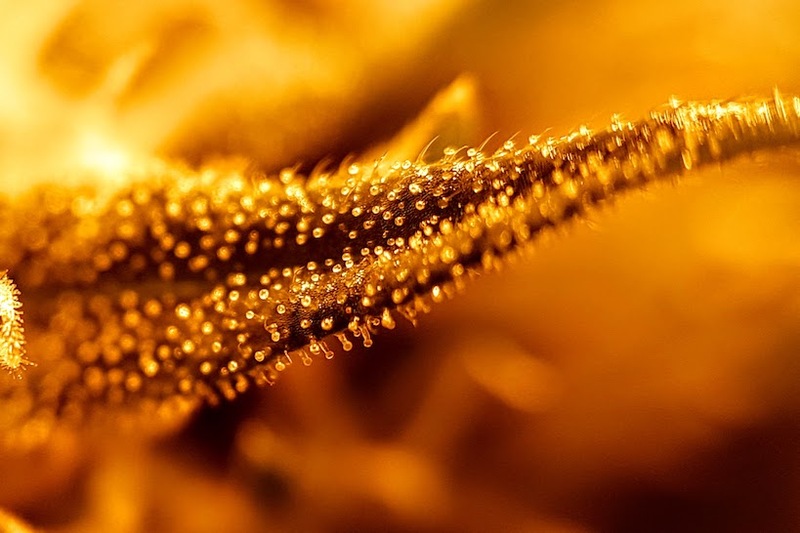 1st November 2016 23rd February 2019 StaffLeave a Comment on The Sensible Cannabis Consumer: Regs, Mid and High grade – is some weed worth more than others?